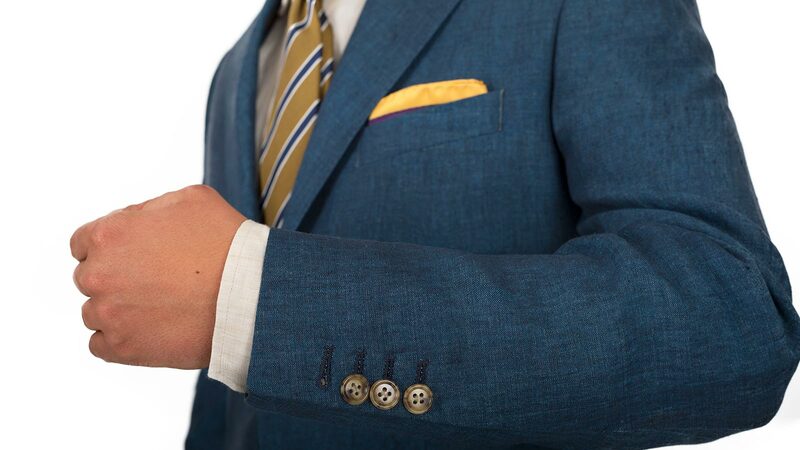 Ends Monday: Save up to $130 on your order Add any custom suit & pocket square and apply the code SUAVE at checkout. Shipping is free. Your suit will be delivered right to your door at no extra charge! Any applicable taxes & duties are included in the price. Return shipping is also free - you are covered by our 100% satisfaction guarantee. Need to make some adjustments for a perfect fit? We have you covered for a full year! 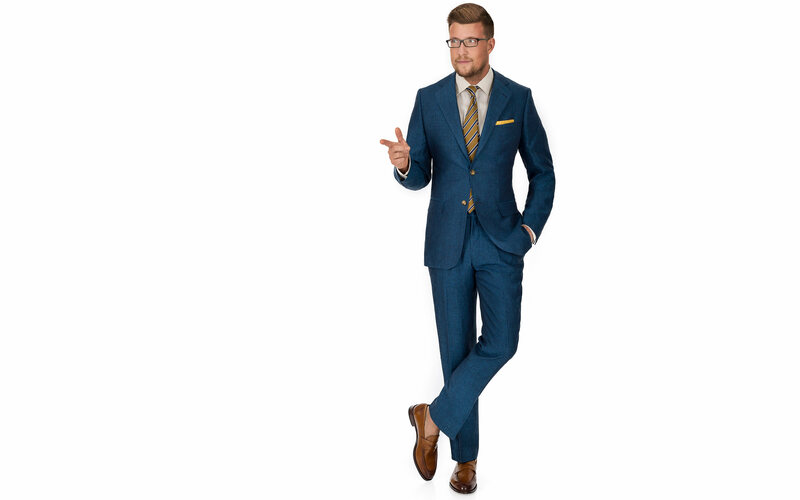 Go to any local tailor, email us a copy of the receipt and we will issue a refund of up to $125 per custom suit and $50 per ready-to-wear suit. We know we should love them all equally, but there is no getting around it: this 100% linen fabric by Angelico with an on-trend teal blue color is our favorite in the 2018 spring-summer collection. 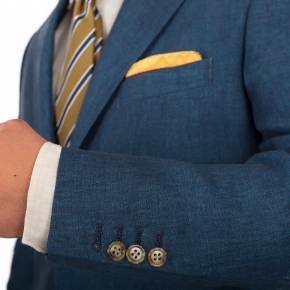 As with most linen fabrics, you can get a lot of wear out of the jacket and the pants separately as well. Functional sleeve buttons & half-canvas construction by default, full-canvas available in the additional options menu, when you click “Customize Now”. 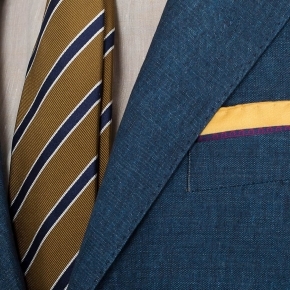 When you add a pocket square and apply the code SUAVE at checkout. FREE SHIPPING & RETURNS Tailored and delivered by June 01. CUSTOM MADE FOR YOU Get your measurements in just Get measured in 15 minutes following our videos. Have no fear! We will carefully review the numbers. Angelico 100% Lino Spring / Summer (8.5 oz). Woven in Italy by Angelico. 100% SATISFACTION GUARANTEE Alterations are covered for 365 days - up to $125 per suit at your local tailor! You can also return for a full refund or request a remake within 30 days of delivery. As always, I'm very impressed with the quality of the suit. It looks great and feels great. I received a bunch of compliments. It also arrived much sooner than I was expecting. Unsubscribe at any time. Spam-Free. 2019 © 'Oliver Wicks' Better menswear, proudly made in Europe. Please, double check. We will never share it with anyone. No spaces, at least six characters. Ok, email me deals & news every now and then (no spam, unsubscribe at any time - we promise).